It’s been almost 21 years since Toy Story made it totally okay to miss all the toys you grew up playing with; it’s one of those rare perfect movies that’s impossible not to love. 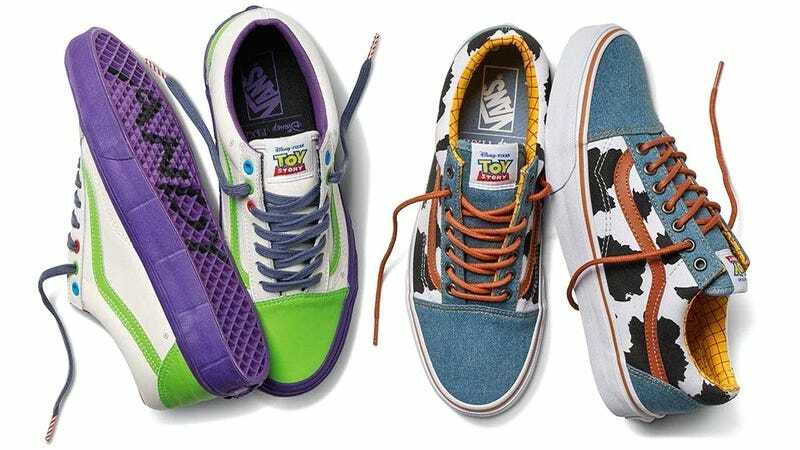 But is there room in your heart for this forthcoming line of Toy Story-themed sneakers from Vans as well? The answer is obviously yes, since Vans has been killing it with the pop culture partnerships lately, including both its Nintendo and Star Wars collections. There are no pricing or specific availability details at this point, but hopefully they’ll arrive ahead of the holidays, and maybe even Halloween, and let you shortcut your way to an easy costume. When did skate shoes become so collectible? This Summer&apos;s Vans Are Made of... Cork?